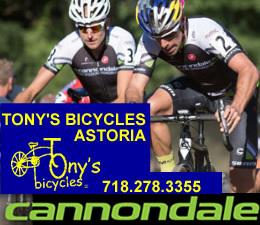 November 9, 2015 / Queens Neighborhoods / Queens Government & Politics / News Analysis & Opinion / Queens Buzz. 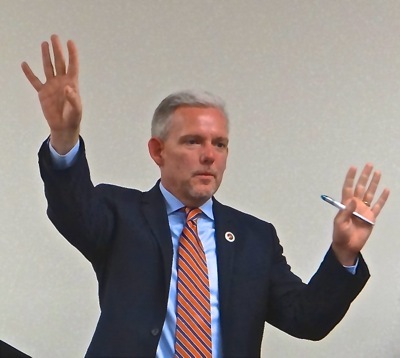 NYC Councilmember Jimmy Van Bramer and 14 Democratic Progressives recently embraced the Move NY Congestion Traffic Price Plan, which among other things, calls for $8 tolls [or $5.54 with the use of an EZ Pass] on all East River Bridges, including Queensboro, Brooklyn, Manhattan & Williamsburg Bridges. NYS Senator Jose Peralta of Jackson Heights / Corona has been an early advocate of the Move NY Congestion Traffic Price Plan. 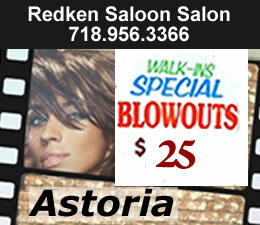 Most of the rest of the Queens government officials do not support the plan. And hence we decided to take a closer look into the plan, to better understand what the issues are. And we were more than a little bit surprised at what we found. How Do The Plan Assumptions Stack With Known Realities? 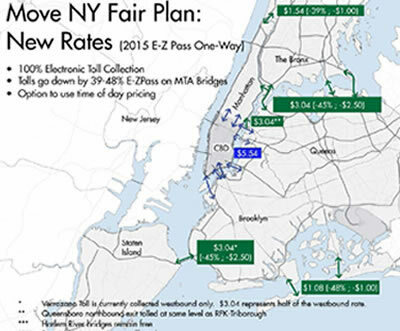 In this report we’re going to describe the Move NY repackaged Congestion Traffic Price Plan. Specifically we will explore the assumptions upon which the plan is based, and then go behind the curtain to explore some of the relationships between the different groups pushing the plan, in order to better understand the economics of the politics. After the meeting I started investigating the Move NY Fair Plan and stumbled across a website name that feeds into the Move NY organization's website. The current Move NY official website name is www.iheartmoveny.org - but you can also get there using www.move-ny.org - which will forward you to the same site. "... build and galvanize communities on behalf of some of the world’s leading nonprofits, advocacy groups, and brands." They were written up in a New York Times OpEd piece by Thomas Edsell entitled Shadow Lobbyists, as a new class of public relations firms that galvanize public opinion in the same way that one galvanizes support for political candidates. It's still public relations, but the techniques are different. We'll probe the vested interested parties in more detail a bit further into the story. 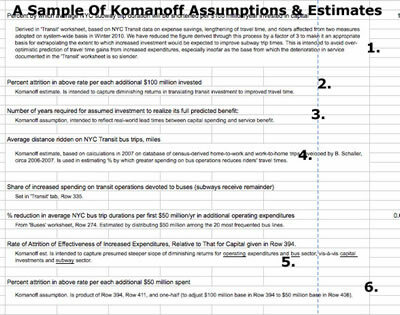 In Move NY 'Fair' Plan There's More Than A Dozen(s) Of "Komanoff Assumptions or Estimates"
Charles Komanoff is a consultant for the Sam Schwartz Move NY 'Fair' Plan. The Move NY Plan appears to have relied very heavily [or entirely?] on Komanoff's BTA or Balance Transportation Analyzer. In a quick perusal at some of the underlying math, I found easily more than a dozen estimates and assumptions which were entitled 'Komanoff Estimate' or 'Komanoff Assumption'. It's worth noting that in general, economic models such as the Balanced Transportation Analyzer or BTA, can be made to produce any conclusion one wants, if one is in control of the underlying assumptions. There are many underlying assumptions baked into the Move NY Plan that are worth questioning in far greater detail. But the biggest key assumption to investigate is the pricing elasticities baked into the plan. Pricing elasticity predicts whether or not people will drive over a bridge or a road, if the price of the toll on the bridge / road increases or decreases. Based on a number of studies done over the past decade, including two in the New York City area, some drivers will adjust the time of day they travel over a toll bridge or road slightly, in order to obtain a discounted rate, but few appear to decide whether or not to use a bridge or toll road because of a toll price increase. Part of the implicit positioning of the plan is that it will reduce carbon emissions. Implicit because both Komanoff who provided the BTA [Balanced Transportation Analyzer] econometric model for the Move NY Plan, and Matthiessen who runs the public relations firm lobbying for the Move NY organization, are on the board of the Carbon Tax Center. More on this later. The studies of the impact of toll price changes on roads and bridges, were done by independent institutions like established universities and governments. The goal was to determine if pricing can be used to alter traffic patterns. We will provide you with the results of some of these studies further into this report, so you can judge for yourself whether or not to rely on the assumptions embedded in the Make NY Plan by consultant Charles Komanoff. "… is a measure of the responsiveness of demand or supply of a good or service to changes in price. The price elasticity of demand measures the ratio of the proportionate change in quantity demanded to the proportionate change of the price." 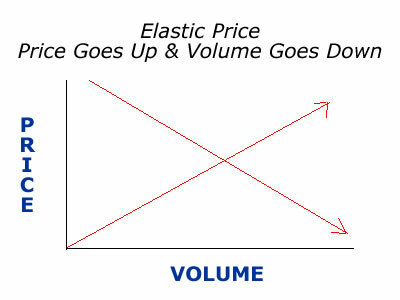 An elastic price means if the price goes up, the quantity goes down and vice versa. 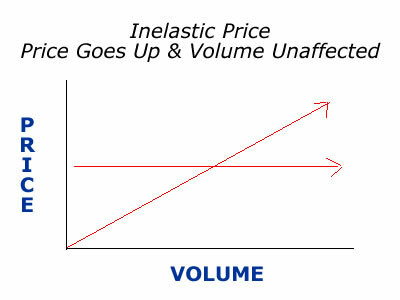 An inelastic price means that people won't change their behaviors much in response to price increases - oftentimes because they don't have what they consider to be reasonable alternatives. Take electricity into your household prior to deregulation as an example. If the monopoly power company took a price increase, you didn't quit using the lights, stove, TV, furnace or washer / dryer because the options weren't that reasonable. Apparently the folks who use the toll bridges and toll roads don't feel they have good options either. So if the price of a toll bridge or toll road goes up, there's a negligible change in usage behavior - except with respect to shifting the time of use. Of course in this case, the Move NY Plan is really advocating more than a toll price increase, as they are advocating the introduction of tolls where they had not been. Toll prices appear to influence bridge / road usage times [eg. motorists plan their trips either immediately before or after peak periods] but do not appear to alter the means of transportation chosen [eg. take the car vs take the train]. The implication is that there may not be an ecological benefit to this plan. London, Stockholm and Milan have implemented Congestion Traffic Pricing Plans in parts of their cities. One cannot underestimate the differences between New York City and its European counterparts including road widths [the plans targeted European Medieval town centers], the population density [Manhattan is many times more dense than of any of them], the geography [Manhattan is an island connected by 18 bridges and tunnels, while London, Milan & Stockholm are not] and so forth. That said, London was the first city to implement congestion traffic pricing in 2003. We will take a brief look into some of the outcomes of that implementation later in this report, but the two key findings that stick with me are: 1) London never went forward with extending the Congestion Traffic Pricing zone and 2) it's been reported that the implementation infrastructure costs were very sizeable, and that less than half of the new revenue ended up in proposed infrastructure development. In 1900 Manhattan represented 52% of the population of New York City and Brooklyn represented 33% - the remaining 15% was spread in the other three boroughs which were somewhat rural and low density population areas. Around the turn into the 20th century city planning, by necessity, came into vogue. And it was also the time during which New York City mass transit began being built. By 1940 most of the build out was completed save the Brooklyn Battery Tunnel (1950), the Verrazano Narrows Bridge (1961) and the Throgs Neck Bridge (1961). Today Manhattan represents about 20% of the population, while Brooklyn is about 30%, Queens 27%, Bronx 17% and Staten Island 6%. If you look at the map below, you'll see how the bridges and tunnel transportation infrastructure converges on Manhattan because that's historically and still the New York City hub. Can The City Toll Price Its Way Out Of A Century Of Infrastructure Design & Build? 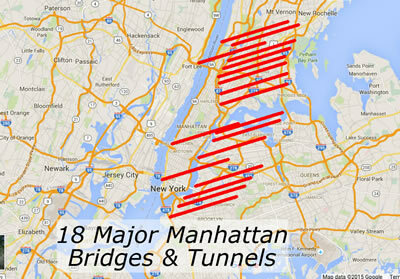 The total bridge / tunnel crossings of the outer four boroughs is 28 and 15 of them are with Manhattan. Manhattan by itself has a total of 18 crossings, including the 15 just mentioned and another 3 major crossings coming in from New Jersey. 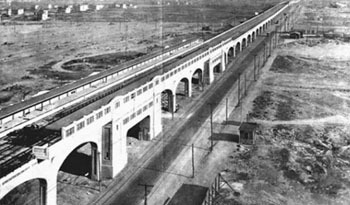 Decades of prior New York City Mayors and New York State Governors & the respective legislative bodies have failed to recognize and address perhaps the most basic reality and issue facing the New York City transportation system today - that the overall transportation infrastructure was designed and built 70 to 100 years ago to serving Manhattan as the hub. While the population densities of the boroughs has changed significantly, Manhattan still remains the center of the city in terms of commercial and cultural activity and this is due in part to its accessibility. How Fair Is The Move NY 'Fair' Plan? Sam Schwartz's Move NY Congestion Traffic Pricing Plan appears to be a socially and economically regressive tax increase because if it succeeds, the brunt of the pain will be borne by the lower and middle income wage earners who will bear the costs if they can't leave their car - and if they do, who will put an even greater strain on the subway system which already appears to be running near full capacity. The subway system is a transit category upon which the Move NY Plan only marginally touched upon. 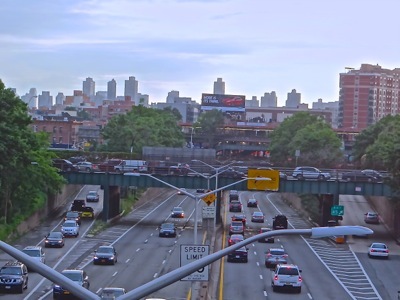 Geographically the burden targets the Bronx, Manhattan and other motorists who cross Manhattan at 60th Street and the motorists including from Queens, Brooklyn and Manhattan who cross the East River. They are not, as the Move NY Plan states, crossing for free because they contribute plenty to the public coffers in high rents, property taxes and municipal taxes that support both New York City and New York State infrastructure. And many of whom likely need to use their cars to enter Manhattan because they probably don't have good choices, contrary to what Move NY Plan hypothecates. The Move NY Plan will certainly raise needed funds for public transit, and might possibly reduce carbon emissions IF the motorists re-schedule their trips AND the new tolls REDUCE bottlenecks at the East River Bridges and along 60th Avenue in Manhattan - not make them worse. Currently neither the bridges nor the 60th Street cross line have tolls. The research indicates that the plan will not likely reduce the number of motorist trips as toll pricing appears to be inelastic and thus not a deciding variable as to whether or not people use their cars. And if the London experience is any guide, expect a sizable chunk of new revenue to go toward creating and managing the implementation of the Congestion Traffic Pricing Plan in lieu of investments in other public transit. 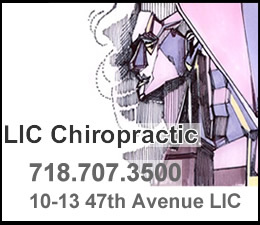 I reviewed the Move NY Plan which you can find in a portable document format or pdf on their website at www. 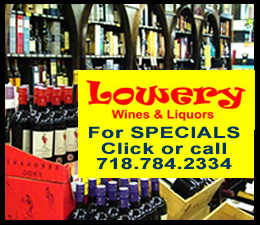 Iheartmoveny .com website. There are 37 pages in the plan, of which ten (10) were blank or graphics / photos. Three (3) of the pages contained the Table of Contents, the Summary & Conclusions. And two (2) pages for who they are and another two (2) for the Bibliography & Appendix. This leaves twenty-two (20) pages for content. The 20 content pages were used as follows: i) two pages are used to describe the traffic congestion in NYC and the bridge and road tolling which the claim is unfair, ii) six (6) pages about current and future funding insufficiencies, iii) four (4) about legislation to create a Move NY Transit Authority that would operate quasi-independently of current public transportation financing structures, iv) four (4) about the Move NY Fair Plan benefits, and v) four (4) about the Move NY Fair Plan itself. So, to summarize, out of 20 pages of content for the plan, only four or 25% of them were dedicated to describing the plan. The rest of the space (75%) in the Move NY Fair Plan was dedicated to promoting the benefits of the organizers’ plan, describing the traffic congestion and transit funding problem as perceived by the Move NY organizers, and outlining a very, very specific legislative agenda for the Move NY Congestion Traffic Pricing Plan. There are two parts to the plan. The first is a schedule of erecting tolls on bridges and roads [see map above]. And the second part is a schedule of proposed NYC transit investments [scroll down for schedule below]. The first part of the plan calls for installing EZ Pass toll systems on all of the East River bridges [Brooklyn & Queens commuters] and also along 60th Street in Manhattan [Midtowners, Upper East & West Siders & those coming from the Bronx]. The plan also calls for reducing the tolls on the three Queens bridges leading into the Bronx, and the Henry Hudson & Verrazano Bridges [see Move NY Plan map above]. The Move NY Congestion Traffic Pricing Plan is backed by a connected maze of engineering and transit consultants, ecology positioned public relations & lobbying firms, and at least one construction company. Likely organized labor will be recruited on the basis of getting some of the temporary construction jobs. Move NY was created in 2010, only a couple of years after the Bloomberg Administration failed to pass the Congestion Traffic Price Plan. The Founder of Move NY is Alex Matthiessen who once worked as a government liaison / advocate for Riverkeeper, a Hudson River environmental group. Matthiessen says he founded the group after receiving some encouragement from Charles Komanoff who was the consultant that provided the group with the use of his Balanced Transportation Analyzer or BTA to put together the Move NY Fair Plan. Both men are on the board of the Carbon Tax Center, which Komanoff founded. There's more on this a bit further down. The first domain name I first found, www. 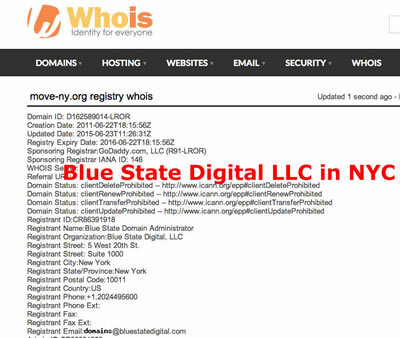 Move-ny .org was first created in 2010 and it is ascribed to [or owned], as mentioned previously, by Blue State Digital, which is a public relations firm. 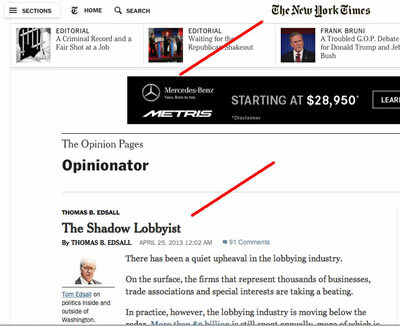 As mentioned previously, Blue State Digital was included in a New York Times OpEd piece entitled Shadow Lobbyists. Alex Matthiessen’s public relations consultancy, Blue Marble Project, was also founded in 2010. The Move NY Congestion Traffic Pricing Plan appeared to go on hiatus from 2010 [old domain name – move-ny.org / PR firm Blue State Digital] to late 2014 [new domain name iheartmoveny.org / PR firm Blue Marble Project]. In October of 2014, the new website domain name www. iheartmoveny .org was created and it wasn't long after that, that we began hearing the drumbeat for Congestion Traffic Pricing again. You'll see how the timing of this name fits in, in a minute. The Move NY organization also mentions ‘Gridlock’ Sam Schwartz of Sam Schwartz Consulting LLC on the Move NY website About section. They credit Gridlock Sam Schwartz as the creator of the Move NY Plan. Schwartz spent a couple of decades working at high levels in what is the equivalent of the New York City Department of Transportation [aka NYC DOT] which has morphed over the years. Sam Schwartz founded a firm that specializes in consulting for transportation infrastructure consulting. One of the projects they showcase on their website is the Second Avenue subway line in Manhattan, which is a $5 billion MTA project started by the Bloomberg Administration and endorsed by former Manhattan Borough President Scott Stringer & Congresswoman Carolyn Maloney. 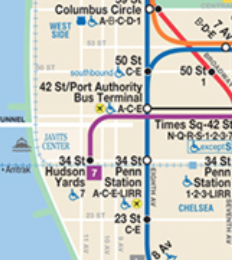 Today the Second Avenue subway line is being called the subway to nowhere because – when Phase I is completed – it will only run from 72nd Street to 96th Street where it will terminate. 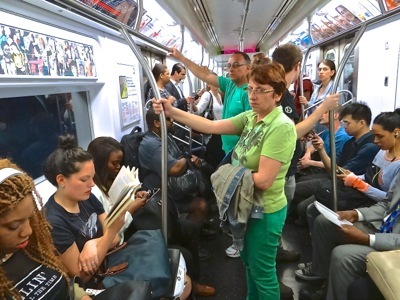 The 2nd Avenue subway will not connect with any other subway lines, except to the Q at Lexington & 63rd Street. At present the Q line runs through Lexington Avenue at 59th Street. Sam Schwartz LLC Consulting was also a player in the multi-billion project to extend the #7 subway line to Hudson Yards to expedite the real estate development of the Related Companies. The Related Companies appears to have been one of former Mayor Bloomberg’s favored developers as Steven Ross & the Related Companies [in tandem with other parties] were awarded three huge government financed real estate development deals while Bloomberg was Mayor [Hudson Yards Manhattan / Hunters Point South Queens & Flushing Meadows Corona Park shopping mall where legal wrangling continues]. 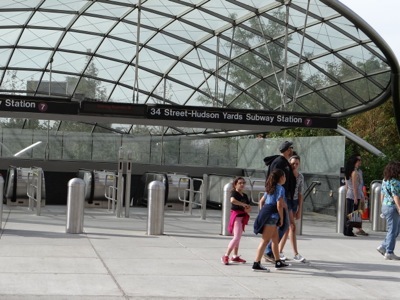 The #7 subway Hudson Yards extension was recently opened and hence has been completed. 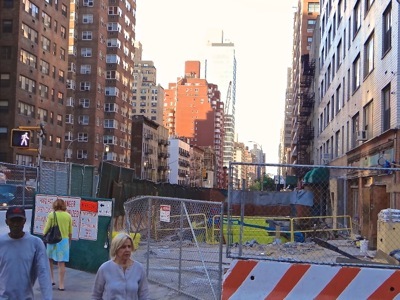 The Second Avenue subway project has already gone over budget, and some folks are now questioning whether it should ever have been undertaken in the first place. So it’s possible that that project may be winding down in the near future too. The reason I mention these projects is because of the coincidence of the timing of the winding down of Sam Schwartz LLC big projects, and the renewed vigor for the Move NY Congestion Traffic Pricing Plan on the part of the Blue Marble Project group through the non-profit Move NY. 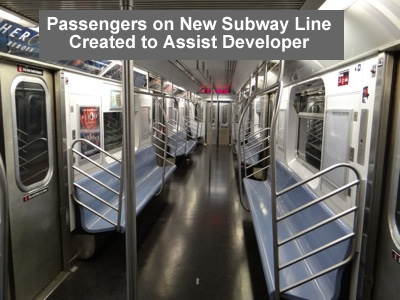 On the surface one might hypothesize that Sam Schwartz LLC is looking to drum up new business to replace the big MTA projects that are nearing completion. 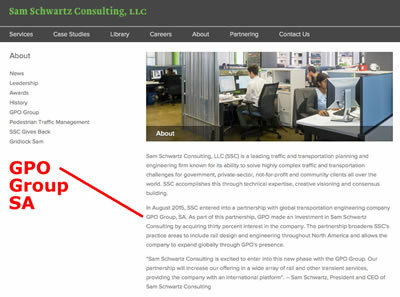 It’s also worth mentioning that the GPO Group, a global transportation infrastructure builder, purchased a bit less than a third stake in Sam Schwartz Consulting LLC in August of 2015. Coincidentally the GPO Group portfolio of products and services appears to align well with many of the transportation infrastructure solutions mentioned in the Move NY Plan to solve gridlock in the New York City. 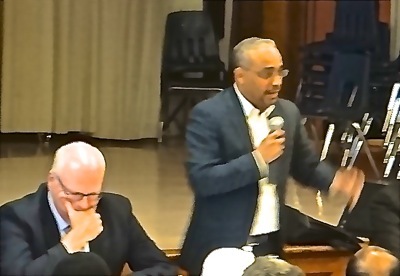 I started hearing things about the Move NY group at the beginning of this year and attended a presentation / community forum regarding the Move NY Traffic Congestion Pricing Plan at the Jackson Heights Jewish Center in May of 2015. NYC Councilmember Dromm was there, and he is also a Progressive Democrat. Nonetheless, at least as of this writing, CCM Dromm has not yet taken a public position on the Move NY Plan, while two of his Progressive Democratic Queens colleagues - specifically NYC Councilmember Van Bramer & NYS Senator Peralta – have endorsed the plan. Also as of this writing, most or all other Queens government officials oppose the plan. While the authoring of the Move NY Plan has been attributed to Gridlock Sam Schwartz, the underlying black box [economic model] is the brainchild of Charles Komanoff. Another consulting firm is cited as saying the Balanced Transportation Analyzer created by Komanoff is a good modeling tool. But as mentioned previously, modeling tools are just that – tools. It’s the assumptions and estimates used in making future forecasts that will determine outcomes. And with just a brief perusal of the assumptions, I found easily in excess of more than a dozen Komanoff assumptions and estimates [see chart to your right with just one of many screen shots of the assumptions]. Charles Komanoff is also referenced on the Move NY website, but not shown. He is also an engineering consultant, and he and Alex Matthiessen are listed on the Board of Directors of the Carbon Tax Center. Charles Komanoff was a co-Founder of the Carbon Tax Center and Alex Matthiessen currently chairs its Board of Directors. 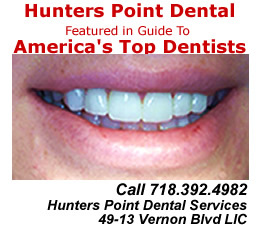 The associations with the Carbon Tax Center might lead one to believe that there will be lower carbon emissions, but the research indicates that overall auto usage will remain unaffected, but carbon emissions might be reduced IF the motorists re-schedule their trips AND the new tolls REDUCE bottlenecks at the East River Bridges and along 60th Street in Manhattan - not make them worse. Currently neither the bridges nor the 60th Street cross line have tolls. This web of transit consultancies and eco public relations firms appear to be the driving forces behind this 'grassroots' positioned Congestion Traffic Pricing Plan. 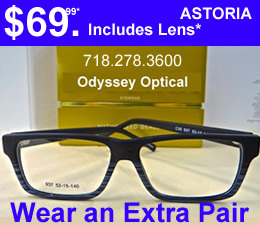 It's not a stretch to again hypothesize that they and their friends are likely to be first in line when it comes time to bid for the work they have outlined in the plan, as well as likely influencers for finding staffers for the proposed new Move NY Authority. I say 'grassroots' because that how they've positioned the campaign for this plan. But given the effort is backed by one or more public relations firms and has been in effect since 2010, having less than 800 Facebook likes isn't exactly a groundswell. A city council candidate, in one of the Queens Districts who placed fourth of six, had over 2,000 Facebook likes. We found that the Blue Marble Project is a paid and registered lobbyist that is working for Move NY. 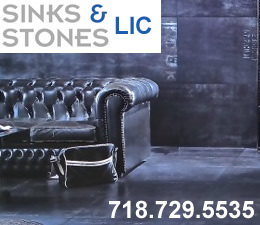 Move NY is staffed, in part, by Blue Marble Project personnel. One might reasonably ask if this a way to circumvent the lobbying rules as the NYT OpEd piece about Shadow Lobbyists suggests. 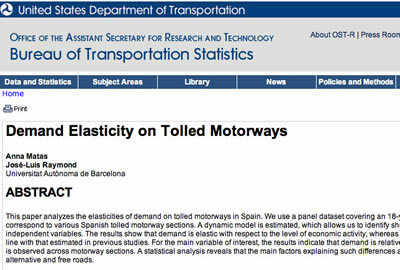 As mentioned previously, one of the key assumptions to the entire plan - driver / toll way pricing elasticity - does not appear to be supported by independent research on the matter over the past couple of decades in this city, this country or around the world, except as it relates to time of day crossings. 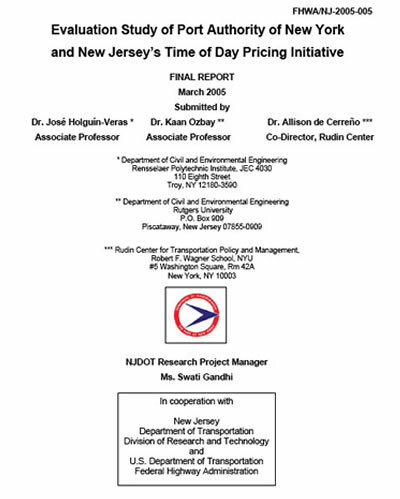 One of the recent toll pricing elasticity studies was issued in March 2005 to measure whether the pricing changes made on the New York New Jersey Hudson River crossings had made a difference. The study was a collaborative effort by professors from the Departments of Civil and Environmental Engineering at Rensselaer Polytechnic Institute of Troy, NY and Rutgers University of Piscataway, NJ; and from the Rudin Center for Transportation Policy and Management of New York University in Manhattan. The study was commissioned and overseen by the New Jersey Department of Transportation in collaboration with the U.S. Department of Transportation Federal Highway Administration. New York City government officials should be familiar with these independently researched studies, which appear to contradict the Move NY Plan assumptions, as toll pricing elasticity assumptions lie at the heart of the Move NY plan calculations and benefits. The second study confirms the same – that toll pricing doesn’t impact toll bridge or toll road usage. The study is entitled “Bridge and tunnel toll elasticities in New York’ and was published by Kluwer Academic Publishers with a cover date of 1995 – 2005. The researchers included Ira Hirschman, Claire Mcknight, John Pucher, Robert E. Paaswell and Joseph Berechman. We looked at some of the other studies that they refer to that also indicate that toll road and toll bridge usage is not responsive to toll pricing – except as it pertains to time of day which was covered in the study referenced above. This appears to contradict the results of the Move NY Plan estimates which suggest they can increase some bridge traffic by dropping the tolls and reduce other bridge traffic by adding them. Studies suggest that other factors such as the value of one's time and travel origination and destination override the cost of a toll as the determining factors in one's travel route. As mentioned earlier in this report, London implemented congestion traffic pricing in 2003. In general the implementation went well and many folks considered it a success. But an effort to extend the congestion traffic pricing zone in London in 2010 was never implemented. "There has been criticism because during the first ten years since the plan was implemented, gross revenue reached about £2.6 billion [or $4 billion U.S], but only £1.2 billion [$1.8 billion U.S.] has been invested in public transit." I ran across other news reports that also said that the infrastructure for the implementation of a Congestion Traffic Pricing Plan was quite expensive. I came across a 2011 report by a researcher who worked for a non-profit with an institutional sounding name which provided a glowing report about the results of the London congestion traffic pricing implementation. But when I began digging further to learn more about the firm / source, I found that they began to resemble the profiles of the American consultancies I encountered in researching the New York City effort to implement the plan - meaning they appeared not to be an unbiased source of information and possibly hired advocates. The Move NY Congestion Traffic Pricing Plan calls for East River and south of 60th Street [Manhattan] commuters to pay another $2,000 to $4,000 per year [for daily commuters] in what is in essence an $8 per crossing toll tax [$5.54 for EZ Riders]. The toll tax plan suggests that they can fix or improve transit fluidity in the Manhattan and surrounding Central Business Districts [CBD’s] by setting prices that will motivate the motorists to change their travel behaviors. They are suggesting that motorists will change their behavior and switch means of transportation because of a toll price change. As shown above, this is only effective in terms of getting some motorists to shift WHEN they will cross the bridge, not WHETHER they will cross the bridge. So the total of auto crossings isn't likely to change. Here’s another statement in the Move NY Fair Plan. Given Payment Of NYC Rents, Property & Municipal Taxes - Are The East River Bridges Really Free? The ‘free’ bridges connecting Brooklyn, Queens and the Bronx to Manhattan, are likely driven across by a majority of people who live in one of the outer boroughs. 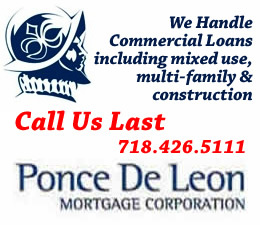 And people who live in New York City outer boroughs must pay NYC rent prices, NYC property taxes and New York City municipal taxes, which fund the New York City infrastructure including transportation and those ‘FREE’ bridges. 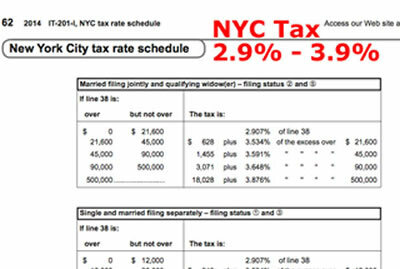 The New York City tax rate runs from 2.9% to 3.9% of income per year. 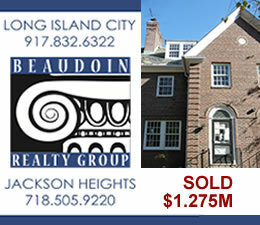 The median income in the city is a bit more than $50,000 per year, and 3% of that is $1,500 per year and 4% is $2,000. It’s worth noting that current City Council Speaker Melissa Mark-Viverito voted for the Congestion Traffic Pricing Plan in 2008, as did current Manhattan Borough President Gale Brewer [who was then a CCM]. Mayor de Blasio was a City Councilmember at the time, and he voted against the Congestion Traffic Pricing Plan of 2008. Investments Schedule Looks Like Santa Claus List, But For Who? 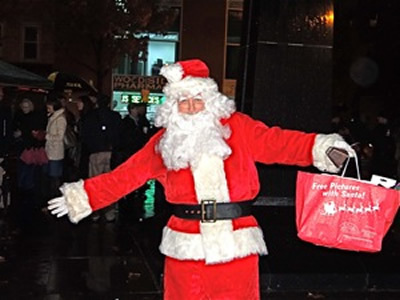 There's a 'Santa Claus' section of the Move NY Plan where they talk about how they plan to spend all of this newly collected cash, the methods of which we are told, will simultaneously mitigate or solve New York City’s Center Business District traffic jams. Here's what they proposed to spend the money on. As near as I can tell by looking at their website, the GPO Group [which as previously mentioned just took a bit less than a third stake in the Sam Schwartz LLC Consulting Company] would be a serious contender for most of these projects. Is A Plan That's Nearly Half Unspecified, Really A Plan? Maintenance Plan 55%. Half of the money is for maintenance and enhancements - the critical elements of which we know will somehow get done. Unspecified Spending in Plan 45%. The other half was largely unspecified, meaning it’s not really a transit PLAN because there’s NO PLAN for half of the money - except how it will be collected. What happens when you give government / business nearly $7 billion in funding without specific plans, and legislate a quasi-independent Move NY Authority to oversee it? So essentially Sam Schwartz's Move NY ‘Fair’ Plan looks very much like a bridge toll taxation plan upon which the bulk of the burden is to be placed on the motorists who travel between the boroughs of Brooklyn, Manhattan and Queens and those who drive across 60th Street. 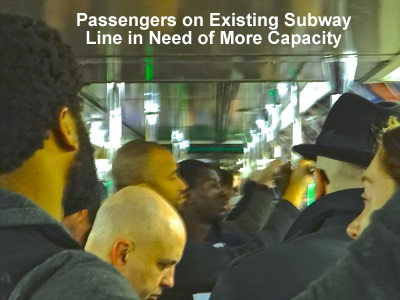 As usual, it appears the brunt of the burden will be borne by the lower and middle classes who will have to suffer the increase in price, or switch to public transit and bear the cost in loss of time, while furthering the strain on NYC's mass transit which appears to be operating near full capacity. Given studies show that toll pricing is inelastic, the Move NY Congestion Traffic Pricing Plan isn't likely to reduce total bridge crossings or auto usage in New York City. The plan might possibly reduce carbon emissions IF the motorists re-schedule their trips AND the new tolls REDUCE bottlenecks at the East River Bridges and along 60th Street in Manhattan - not make them worse. Currently neither the bridges nor the 60th Street cross line have tolls. The new tolls will, like taxes, raise revenue which can be used to buy the transportation infrastructure products and consulting services, many of which are offered by the people and organizations who back the Move NY Plan. And if the London experience is any guide, expect a sizable chunk of new revenue to go toward the infrastructure of the Congestion Traffic Pricing Plan in lieu of investments in other public transit. Do You Think NYC can Price Itself Out of a Century of Transportation Infrastructure Design? So there you have it. As always, I must leave it to you to decide what to make of things. Thanks for paying attention to how our city is being managed, because public vigilance lies at the heart of a functioning democracy. You can help us continue to provide you with independent, first-person, fact-based, contextural reporting by purchasing a subscription.